The Relais & Châteaux Tennerhof Gourmet & Spa de Charme Hotel is the smallest and most romantic 5 star hotel in Kitzbühel. 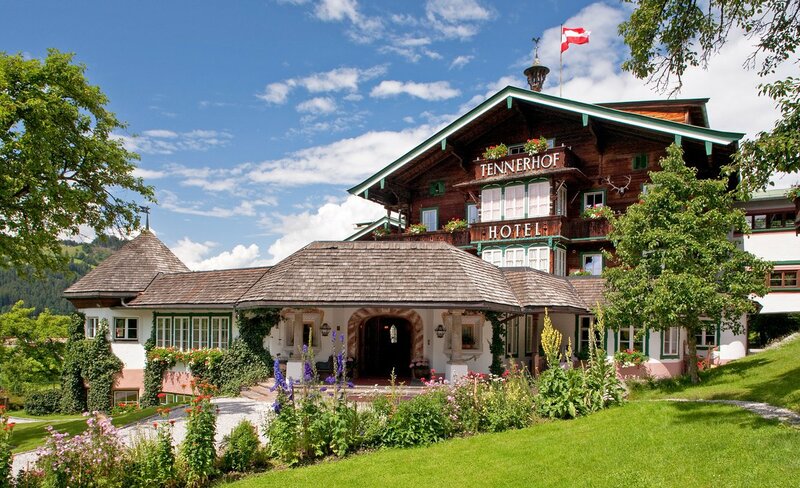 The Tennerhof is located on a hillside among a huge garden and is in private ownership of Family Mag. Luigi von Pasquali. The view to the world-famous village Kitzbühel and the panoramic view to the surrounding mountains is a breathtaking Beauty. 39 exclusive rooms & suites, furnished with antiques from the family, ensure a pleasant atmosphere. Since December 2017 you can enjoy three brandnew Tennerhof Luxury Chalets. In the Tennerhof Spa de Charme, member of Leading Spa Resorts, with outdoor & indoor swimming pool, saunas, steam bath and as well as two modern relaxation rooms, you will gain new strength for your everyday life. ATTENTION: Please specify the room type in the comments section of the booking form. Thank you.